Washington, D.C.–The Nuclear Regulatory Commission will meet with representatives of Southern California Edison Company on January 24 to discuss preliminary findings of a Special Inspection it conducted at the San Onofre Nuclear Generating Station following an August 3 fuel-loading incident. The San Clemente plant is owned by Southern California Edison and permanently shut down in 2013. The meeting will be held from 2 to 5 p.m. at the NRC’s Region IV office in Arlington, Texas. It is open to public observation and will be broadcast, via webinar. NRC officials will answer questions submitted by the Internet from the public following the business portion of the meeting. The public can register for the webinar. A confirmation e-mail will be sent with details for joining the webinar by computer or mobile device. There is also an option to listen to the conference by phone bridge; however, participants must first register for the webinar to obtain the phone bridge number. No decision on the final safety significance of the findings identified in a Nov. 28 inspection report or any additional NRC actions will be made at the conference. That decision will be announced at a later date. The plant personnel believed the canister had been fully inserted, because the rigging that supported the canister had gone slack. After a radiation protection technician registered radiation readings higher than expected for a properly loaded cask, the personnel performing the operation realized the problem. They then corrected the canister’s alignment and successfully completed the operation. The NRC initiated a Special Inspection during the week of September 10, 2018. The Special Inspection team investigated the incident, interviewed personnel involved, and observed equipment operation and preliminary corrective actions put in place to prevent recurrence of the event. According to the NRC, San Onofre personnel failed to observe (1) that the canister was misaligned, (2) that the canister had made contact with and was resting on the divider shell assembly, and (3) that the lifting devices and equipment – considered “important to safety” because of their role in ensuring safe storage and handling of the waste – were no longer supporting the canister weight. The failure of lifting equipment placed the canister in what the NRC calls “an unanalyzed condition,” and created the possibility of a “load drop event,” as the canister could have fallen 18 feet into the storage vault if it had slipped off of the inner ring assembly. San Onofre informed NRC Region IV staff of the incident on August 6, 2018, when the licensee provided a courtesy notification and described it as a near-miss or near-hit event. 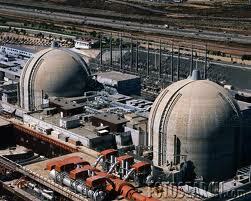 The commission added that San Onofre personnel did not report the event as required by regulations. Following prompting by NRC staff, San Onofre submitted an event report (required by 10 CFR 72.75(d)(1)) on September 14, 2018.